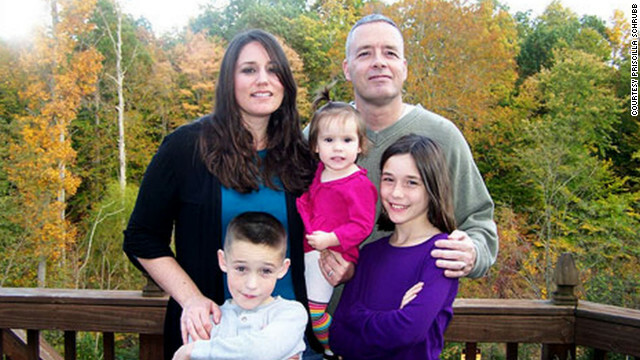 Priscilla Schrubb is married to a Marine and has relocated five times. Editor's note: Overseas, they fight for freedom. In America, they fight for jobs. “Voters In America: Vets Wanted?” is the first part of a CNN In America documentary series on American voters. Narrated by J.R. Martinez. Airing May 13th 8 p.m. and 11 p.m. ET on CNN. NEW YORK (CNNMoney) - Unemployment, debt and a troubled housing market are plaguing families across the country, but for those in the armed forces, there is an even bigger burden to bear. Often young and required to move frequently, many military families struggle to maintain a two-income household, find affordable childcare and save for the future. Service members and their families have a tougher time because the military isn't a high-paying job and most "are very young and without formal financial literacy training," said Robert Joshua, executive vice president at Navy Federal Credit Union, which serves military and civilian personnel and their families. The average junior enlisted member with less than four years' experience earns just over $40,000 a year, including housing and food allowances, according to the Defense Department. The salary goes up, however, for service members with families. Those who are married with two kids earn $52,000.